Raise of filament rolls in the room–who thinks they can open up a website that allows you to 1) download 3D printable files and 2) upload your own to make some cold, hard cash? I know, you’re thinking, “Egad, what is this genius!? The like has yet been seen!” The reality is there are a lot of websites to both download, upload and share 3D printable files (GrabCAD, Thingiverse, etsy, FabFabbers, etc.) or even sell your creations (Shapeways, Ponoko, Sculpteo, Etsy, etc. ), yet a new site is launching with the aim of “becoming the YouTube of 3D files.” iMakr has announced the launch of My Mini Factory coming June 18th (with a Champagne and Canapés launch party at the iMakr store). So, how are they different? Sylvain says, “My Mini Factory aims at becoming the YouTube of 3D files. My Mini Factory shortens the chain between designers and consumers. That’s probably where the third industrial revolution really starts.” It’s rather mind-numbing when people express their website’s startup vision as “the _________ of 3D this or that” for a couple reasons. First, it’s just cliche. Second, iMakr is already setting themselves apart and a comparison like, the “Youtube of 3D files” is just… well, hard to take seriously. Perhaps it illustrates their vision to investors and the early interested. However, they do have one aspect in particular that separates them from the other “Youtube for 3D file” sites. The other sites are focused around the sale of a physical 3D printed good. 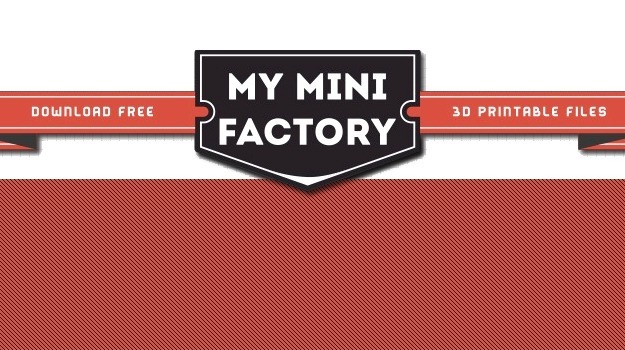 My Mini Factory is focused around the sale of a digital 3d printable good. While you could sell digital files through any number of websites or your own site, this is where they bring a bit of value to the revolutionaries and dreamers rising atop the mound of traditional manufacturing crushing plastic squiggles. On board? 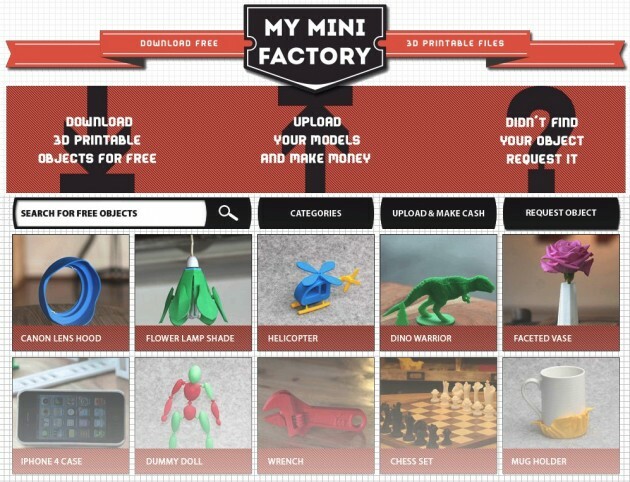 Is a site for you to sell your 3D printable files attractive? Is This the All-in-One Bike Helmet of the Future?